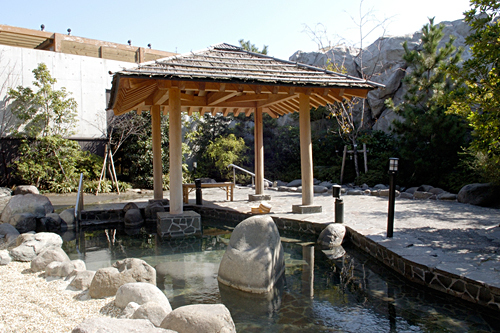 Visiting hot springs is truly a uniquely Japanese experience and most bathhouses hot springs stay open for long hours, allowing the bathers to immerse themselves in healthy waters and relax. People in Japan are obsessed with bathing themselves in hot springs and some select their bathhouses based on the water's healing properties. Befoew you venture into the bathhouse, here are a few Do's and Dont's at a hot springs. 1. Get naked, that’s the first step. Sorry, swimsuits aren’t allowed. 2. Wash your hair and body before you enter the bath, to keep the water clean. Ladies, please tie up your hair. 3. Be careful, typical water temperatures are about 40+ degrees Celsius (100+ degrees Fahrenheit)! So, slowly ease yourself feet first into the water. 4. Relax after your soak. Drink a beer, take a nap! 1. Don’t show your tattoo, if possible please fully cover it up. 2. Don’t wash after you soak. Many Japanese believe the minerals in the water are good for the body, so you shouldn’t wash to get the full effect. Konparu-yu Konparu-yu is a bathhouse whose origins date back to the Edo Period. The bath was named after an Edo Period Noh performer Mr. Konparu. It is open to public everyday (except Sundays and national holidays) from 14:00 to 22:00 and it receives about 100 bathers daily. 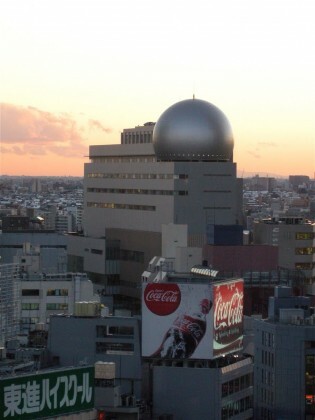 Access: Shimbashi Station (Ginza Line, Toei Asakusa Line, JR Yamanote Line). 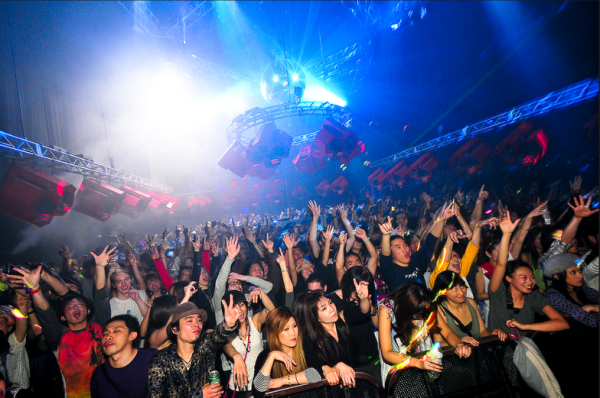 Entrance Fee:450yen for adults, 180yen for students, and 80yen for children under school age. Kanda Aqua House EDOYU is open to public access everyday (except a few days in November for maintenance purposes). The onsen opens at 11 am and remains open until 8 am the next morning. It has two hot pools and a sauna (costs extra) and a shallow pool for aqua-aerobics (for which you have to wear a swimsuit). You can enjoy the relaxing atmosphere of this bathhouse for three hours at the cost of 450. All you have to do to reach this onsen i s to walk five minutes from Ochanomizu Station (using the Hijiribashiguchi Exit) on the JR Chuo & Sobu Lines or from Shin-Ochamizu Station on the Chiyoda Subway Line. Tsubame-yu is a beautiful public bathhouse full of original characteristics. The bathhouse hosts a rock garden next to the baths. 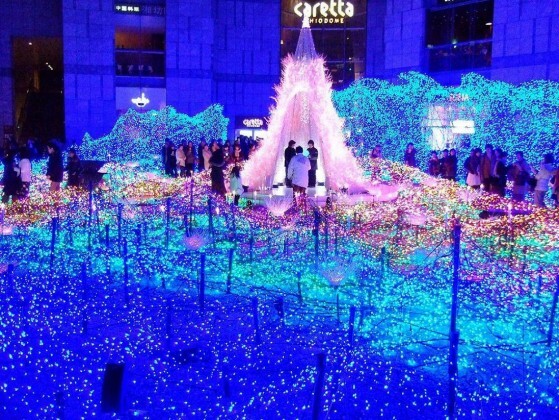 It is said that the volcanic rocks used for the fountains are brought from the Fuji mountain. The bathhouse opens very early (at 6 am) to public access everyday (except Mondays) and stays open until 8 pm. The entrance fee costs only 450. You can reach Tsubame-yu by taking a short four minutes walk from the Okachimachi Station (South Exit) after using the JR Yamamoto Line. 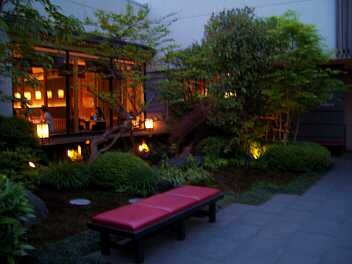 The bathhouse Rokuryukosen is believed to be the number one choice of poet Mori Ogai. 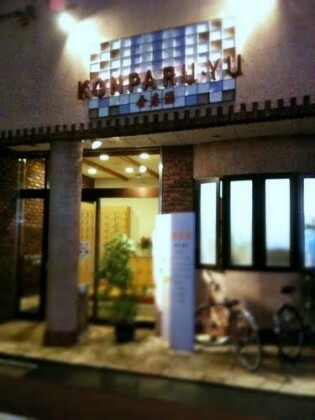 Rokuryukosen is a natural spa which is only five minutes away from the Nezu Station on the Chiyoda Subway Line. 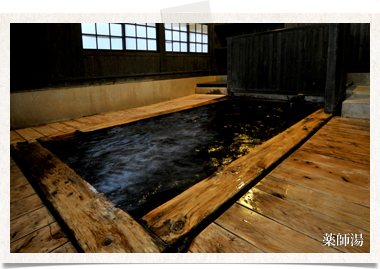 It is said that the water of this bathhouse helps relieving the symptoms of cold and arthritis. Some say that some ancient leaves, which have worked their way up the water pipes and into the tub, have excellent benefits for your skin. It’s open to public everyday (except Mondays) from 3:30 pm until 11 pm. The entrance fee costs 450. 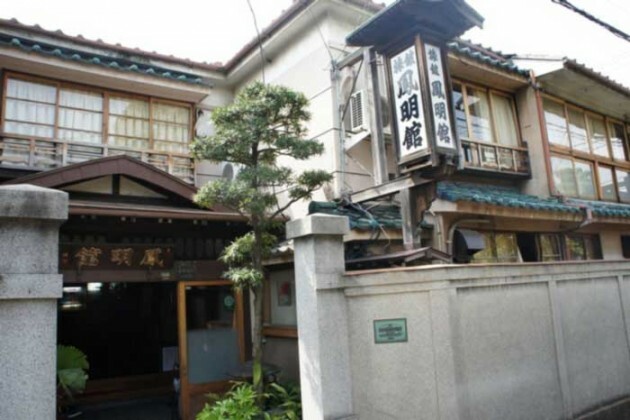 Saito-yu is a bathhouse which is only three minutes away from the Nippori Station (East Exit) on the JR Yamanote Line. This bathhouse has radium spring bath which keeps you feeling warm for a long time even after you get out of the bath. They also provide body massage and scrubbing. It’s open to public everyday (except Fridays) from 4 pm until midnight. 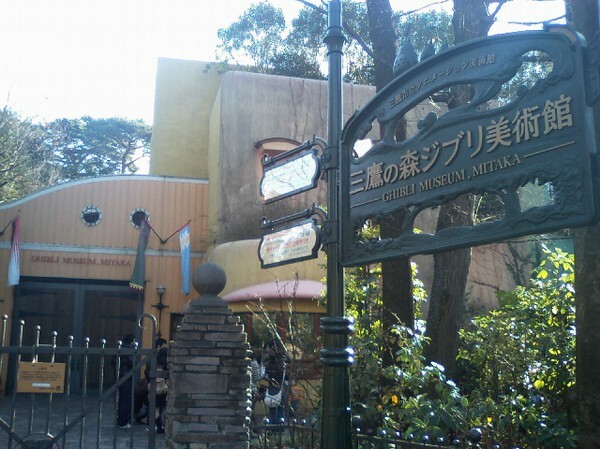 The entrance fee costs only (i) 450 for adults; (ii) 180 for students; and (iii) 80 for children under school age. Yakushi-yu literally means “Water of the Healing Buddha”. 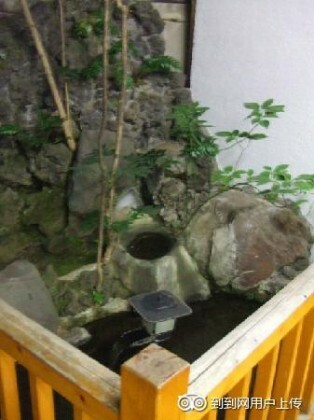 It is said that this public bath got his name from the temple nearby. The bathhouse has a small bath surrounded by wooden floors which does not hurt your knees when you wash yourself. 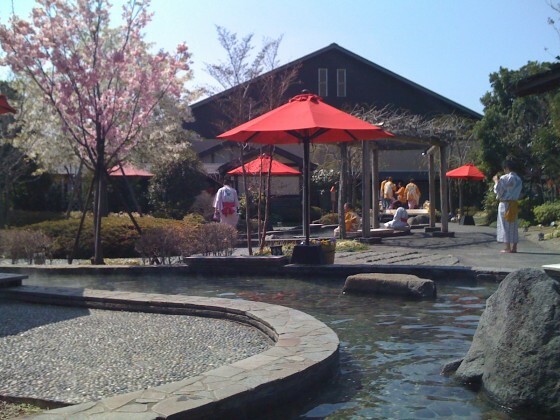 This natural spa is only two minutes away from the Tokyo Sky Tree Station on the Tobu Isesaki Line (Sky Tree Line). It’s open to public everyday (except Wednesdays) from 3:30 pm until 1:30 am. The entrance fee costs 450. Ryogoku Yu-ya House Edoyu is a hot spring bath with an Edo period theme which is open everyday (except for a few days of daily maintenance) for public use from 11 am in the morning until 9 am the next morning. They offer therapeutic and bedrock baths, sauna and massage treatments. 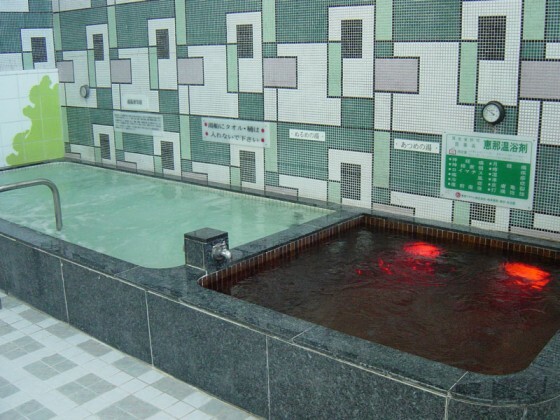 You can reach this hot spring bath on foot (i) within one minutes from Ryogoku Station (A3/A4 Exit) on the Oedo Subway Line; or (ii) within five minutes from Ryogoku Station (East Exit) on the JR Sobu Line. 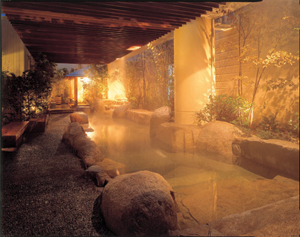 The entrance fee costs 2,300 and it covers entrance to the Stone Spa and the use of kimono style bathrobes. There is an extra fee of 315 per hour if you decide to use the hot spring between 1 am and 6 am in the morning. Oedo Onsen Monogatari is a large scale natural spa (located only three minutes away from Telecom Center Station on the Yurikamome Line) where you can enjoy the atmosphere of the old Edo period with fourteen different indoor and outdoor baths at your disposal. The natural hot spring water reaches the baths from 1,400m underground. 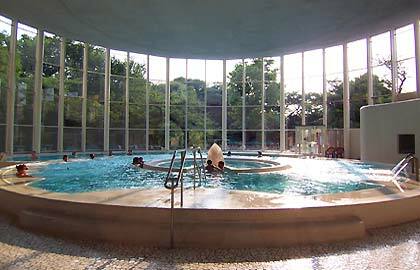 It is said that the thermal baths help alleviate muscle and joint pains. They also have a ‘Doctor Fish’ foot bath, where small fish eat away the dead skin cells. You can reach this natural spa with a free shuttle from the Tokyo Station (Yaesu Exit) and Shinagawa Station (Konan Exit). It is open to public access everyday and costs 1,980 during the weekdays and 2,180 during the weekends and national holidays. Spa LaQua is another high class spa which is open to public access from am in the morning until 9 am the following morning (except from April 22-25 and November 11-12, 2013). Spa LaQua offers an outdoor bath, a massage bubble bath and saunas. The natural hot spring water, which is strong in sodium-chloride, helps alleviate the symptoms of poor circulation, shoulder discomfort, neuralgia and arthralgia. The entrance fee to this amazing spa costs only 2,565 and an extra charge of 525/hour shall be applicable if you decide to enjoy the relaxing atmosphere of this spa for more than five hours. If you choose to benefit from this spa between 1 am and 6 am in the morning, there will be an additional fee of midnight surcharge in the amount of 1,890. 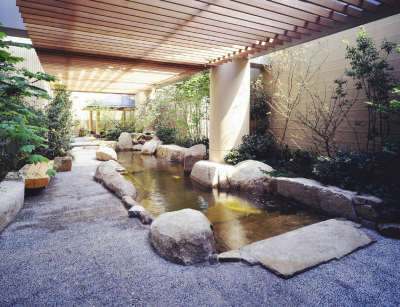 You can reach this beautiful spa either (i) within five minues from Suidobashi Station using the JR Chuo & Toei Mita Subway Lines; or (ii) within one minute from Korakuen Station using the Marunouchi & Namboku Subway Lines. Please remember that children under age of six may not enter the Spa. Similarly children under 18 years can benefit from the Spa until 6 pm only if they are accompanied by one of their guardians. 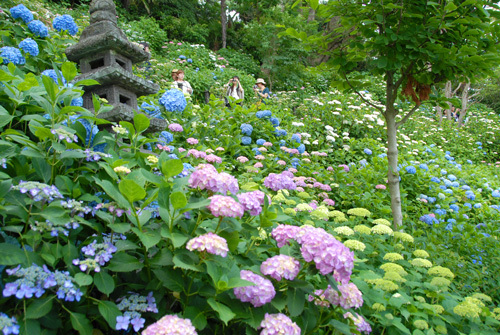 Toshimaen Niwano-yu is a natural spa where you can relax and enjoy the beautiful view of a magnificient garden everyday (except for during a week of maintenance in November). The spa offers a regular indoor pool, a Dead Sea pool, outdoor jet baths and a Finnish sauna. It also has a large co-ed area therefore it is also ideal for couples. It is open between 10 am and 11 pm with an entrance fee of 2,250. Late check-ins after 6 pm are subject to an additional cost of 1,260. You can reach this beautiful natural spa within two minutes from Toshimaen Station by using the Toei Oedo Subway and Seibu Ikebukuro Lines. Tokyo Somei Onsen Sakura is an onsen famous for its mud, which can be applied as a beauty mask. It is open to public access every day (except for one day a month for maintenance purposes) from 10 am until 11 pm. The entrance fee costs 1,260. 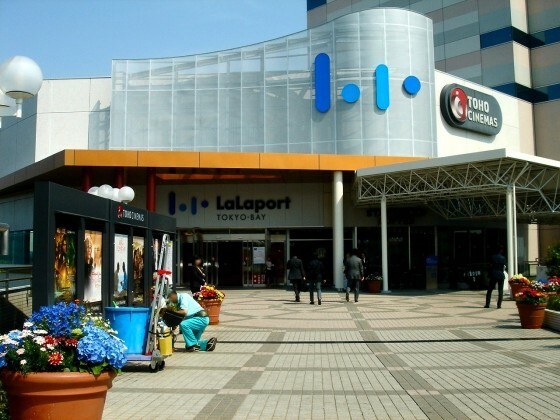 You can get to this natural spa (i) with a free shuttle bus from JR Sugamo Station (central exit); (ii) within 8 minutes from Sugamo Station (north exit) by using JR Yamanote Line; or (iii) within 6 minutes from Sugamo Station (A4 exit) using the Toei Mita Subway Line. To the Japanese, visiting a bathhouse is almost a daily ritual. 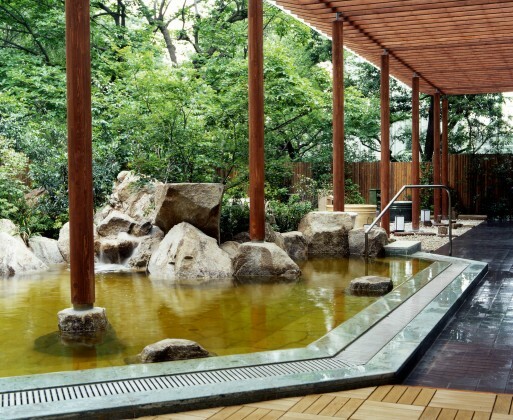 It is reported that in 2010, almost 128 million people visited an onsen! You definitely should not miss the opportunity to have this one in a life time experience. Do not worry; just remember the basic rules 1) take off your clothes, 2) wash your body and 3)immerse yourself in the healthy water and relax!